After a successful season, we are happy to return with Launch Point Academy’s Summer Theatre Intensive! Each session will offer our participants the chance to audition for and be cast in a professional musical. Students will learn skills, create friendships and rehearse for a high-quality production. Days will consist of vocal lessons, dance instruction, performance workshops, intensive rehearsals and drama activities. This is an invaluable opportunity for any child who wishes to prepare for community or professional theatre. Instructors will consist of Blue Canoe alumni, drama grads, music grads, and special guest professionals from the industry. This program will focus not only on increasing skills, but also on creating a positive atmosphere, and professional attitudes among future performers. 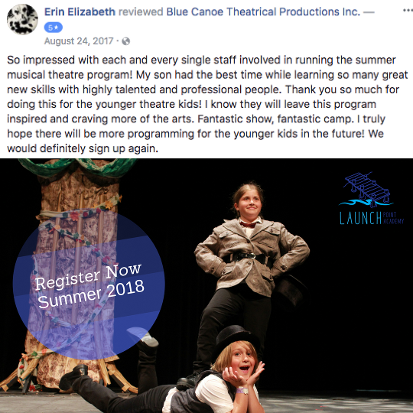 This program is in the style of a Summer Day Camp, with hours through the weekdays and a final performance at the end of the three week session. Please return in April 2019 for more information about how to register for this camp! Beginners are welcome, performers of all experience levels welcome! 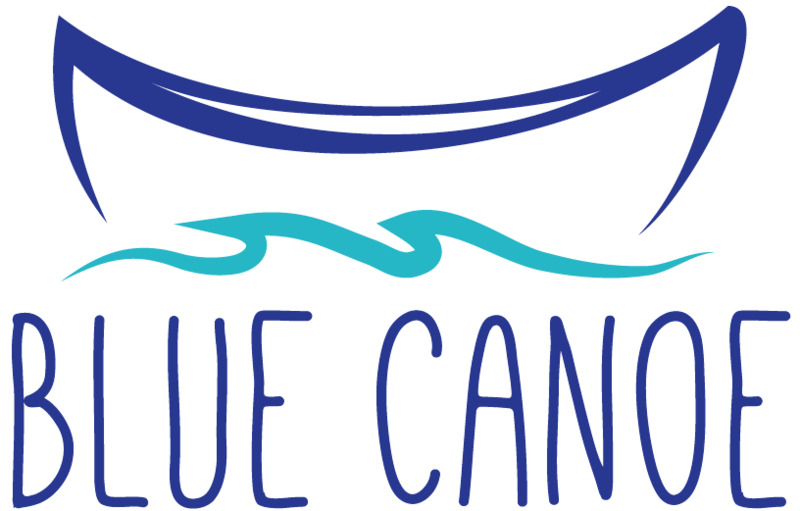 Contact us at education@bluecanoetheatrical.com for more information!